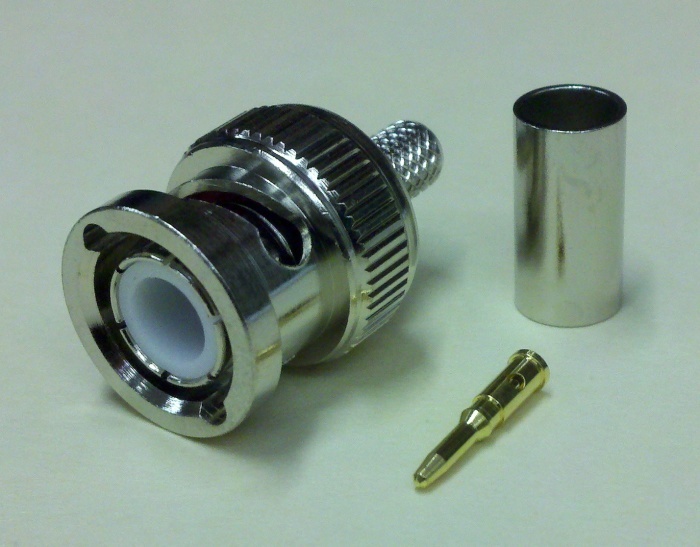 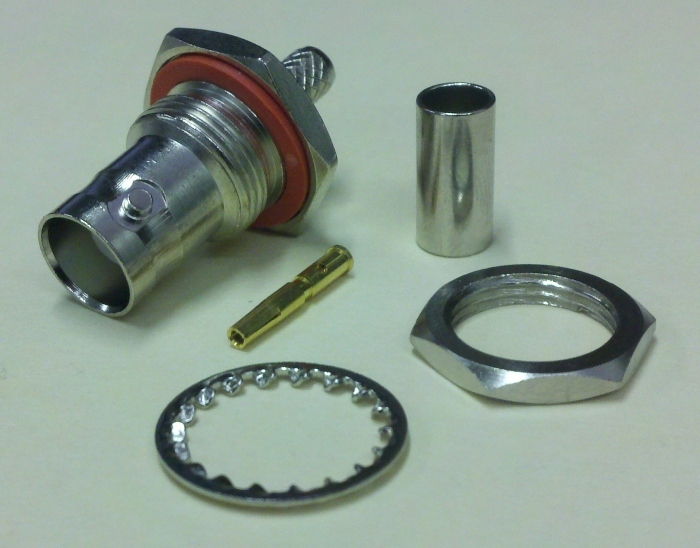 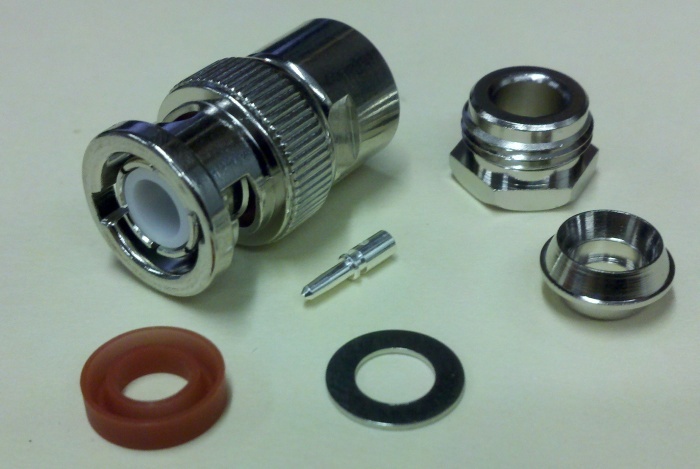 Crown RF offers BNC connectors in a variety of styles, including male and female, straight and right angle, crimp and clamp attachment methods, bulkheads, and panel mounts. 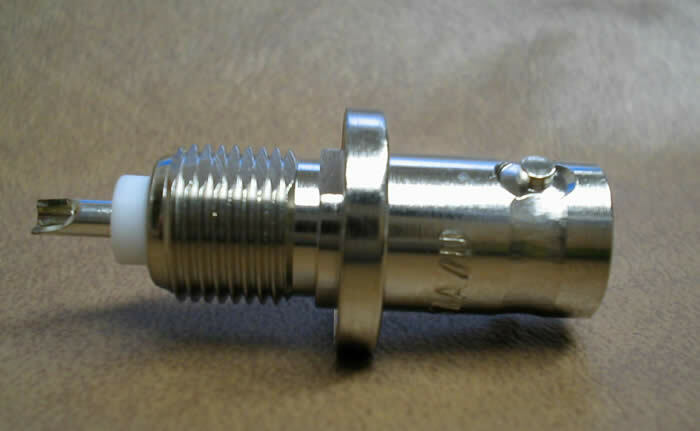 Our BNC connectors are also available for several cable groups, such as low-loss cables LMR-195, LMR-240, LMR-400, as well as RG styles. 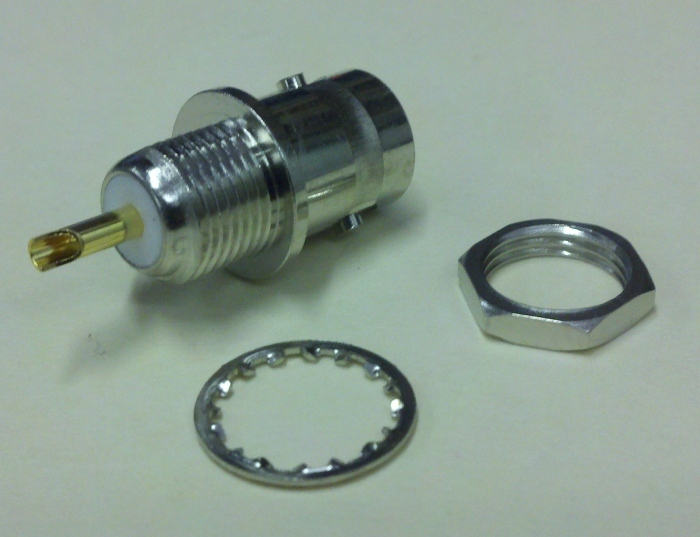 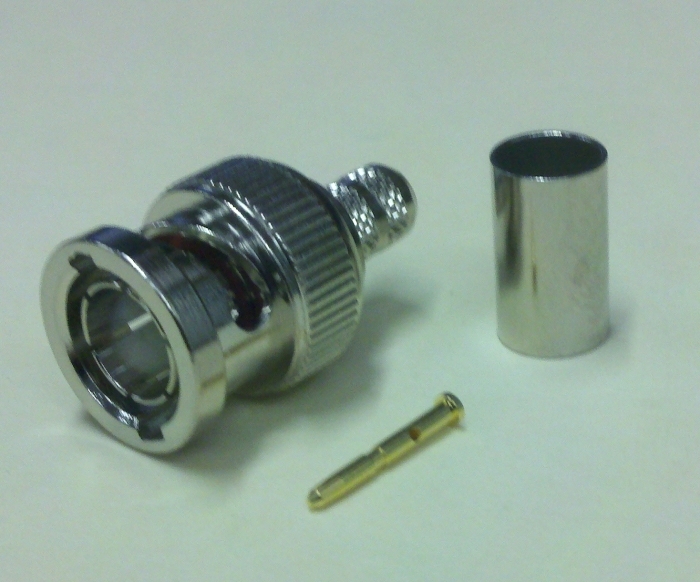 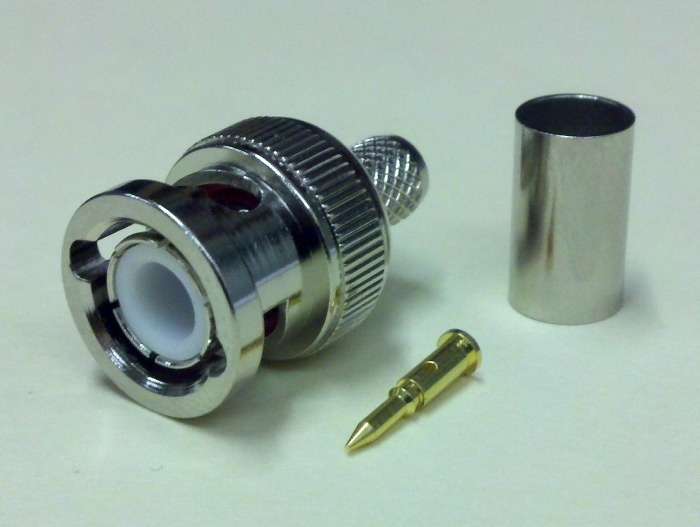 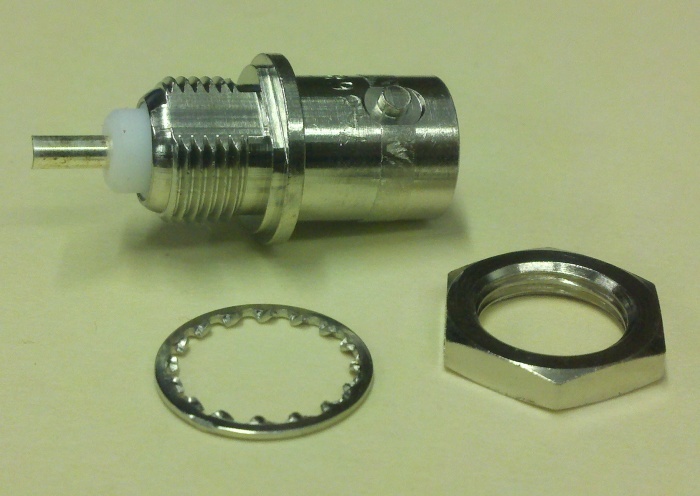 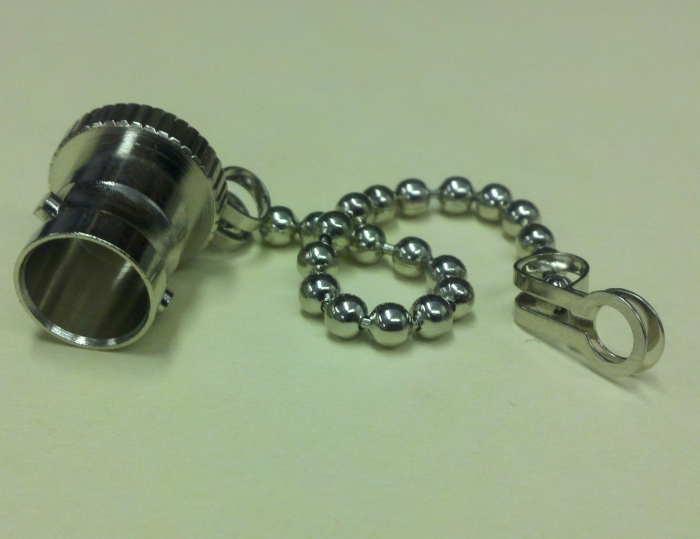 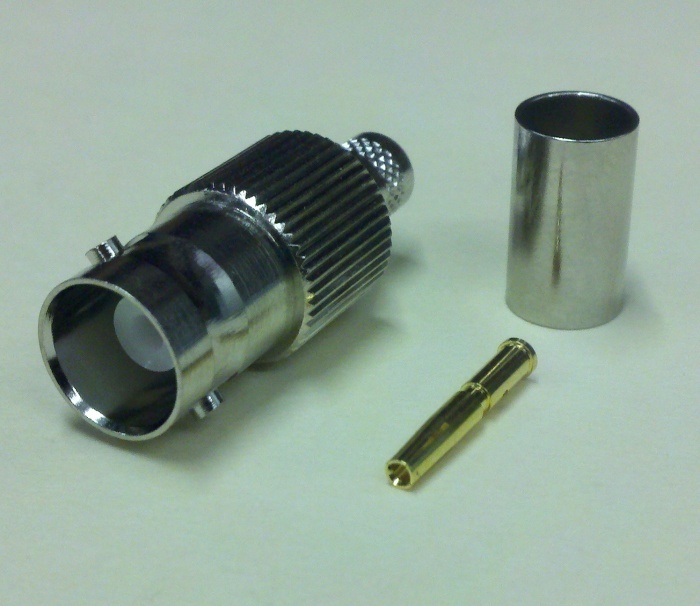 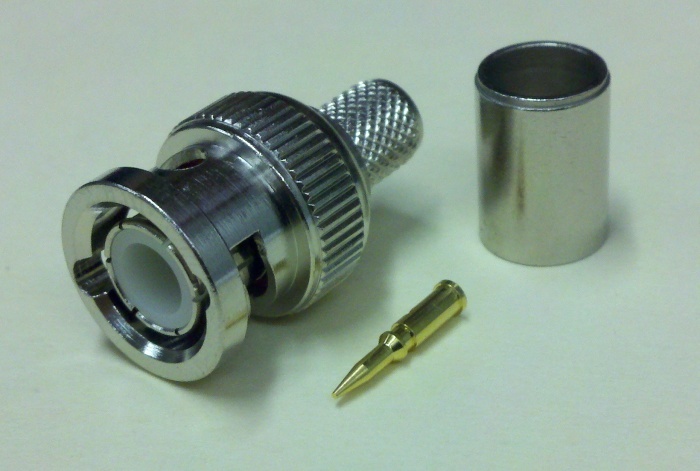 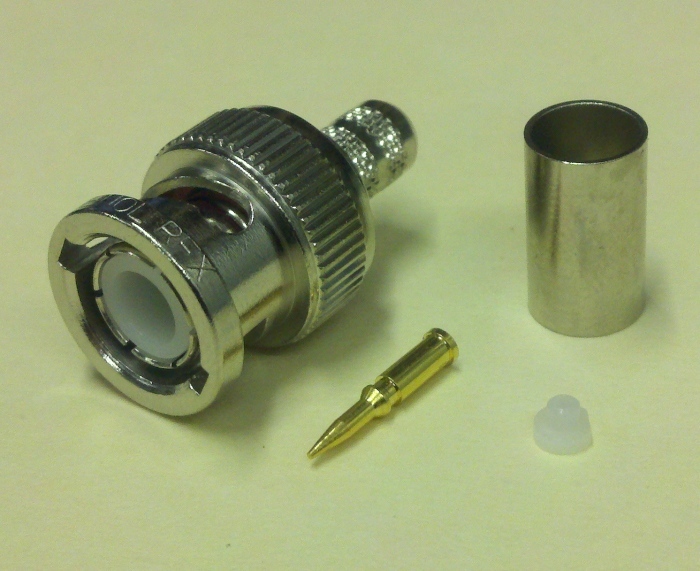 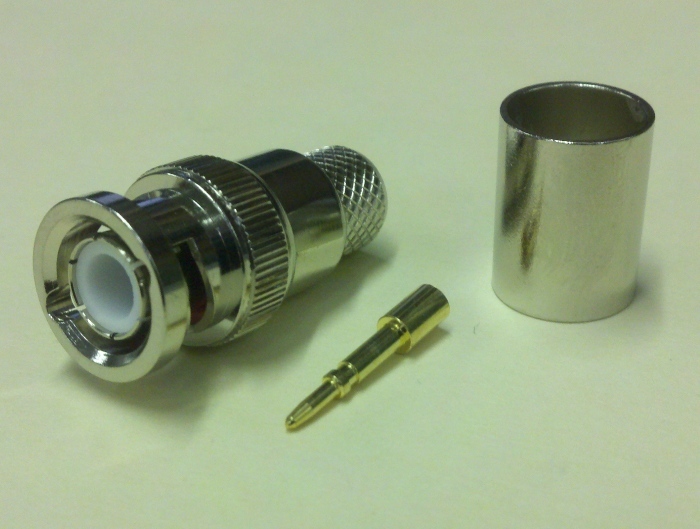 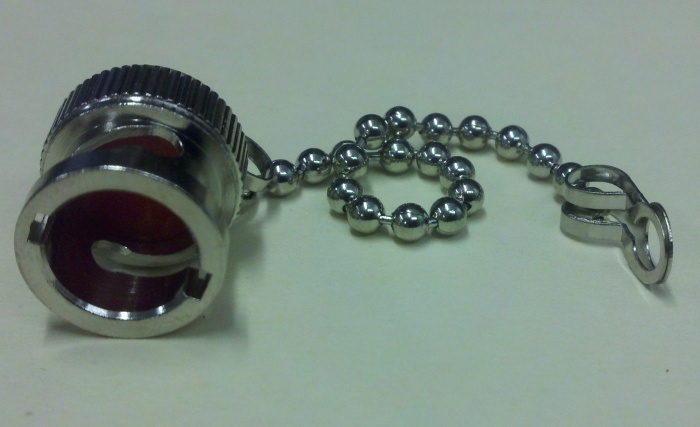 We also offer BNC dust caps. 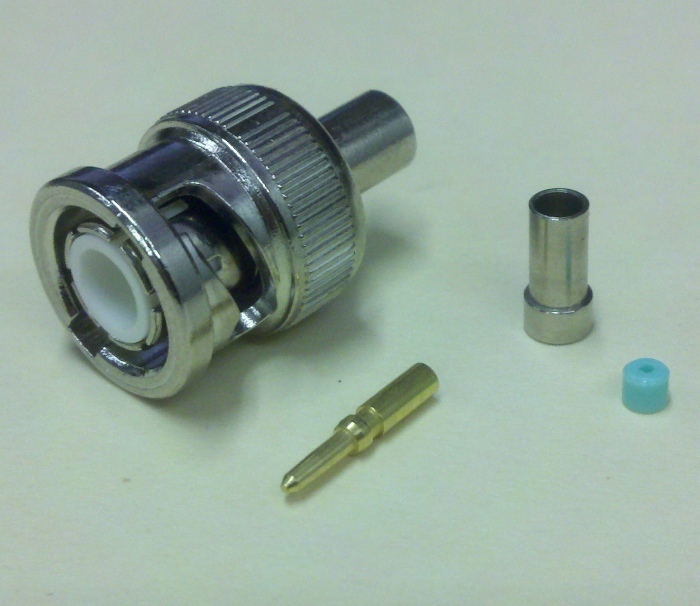 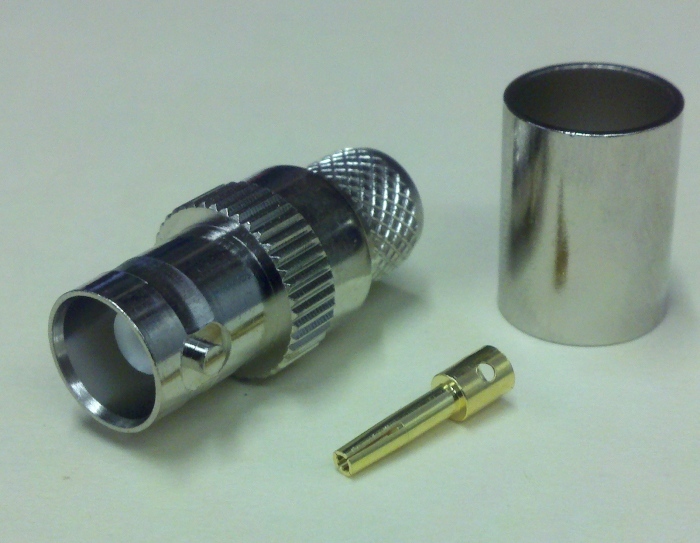 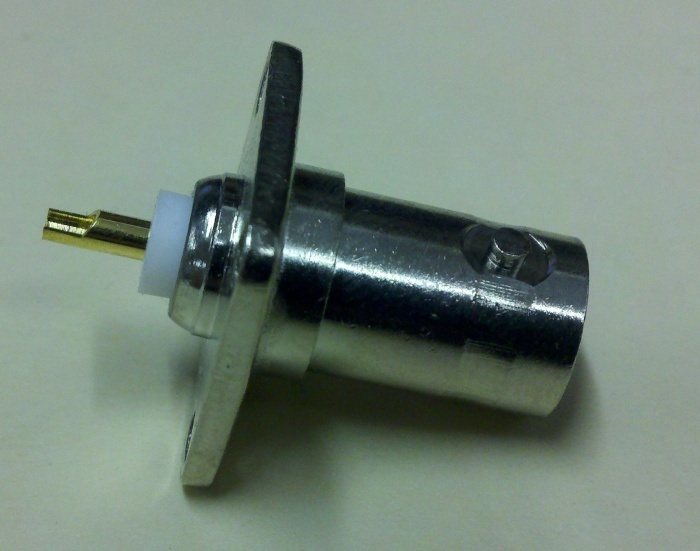 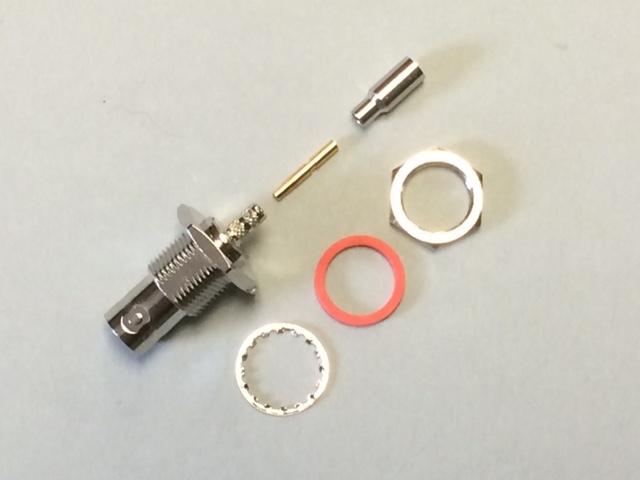 Same-day shipping is often available for our BNC connectors, and for more information please see our spec. 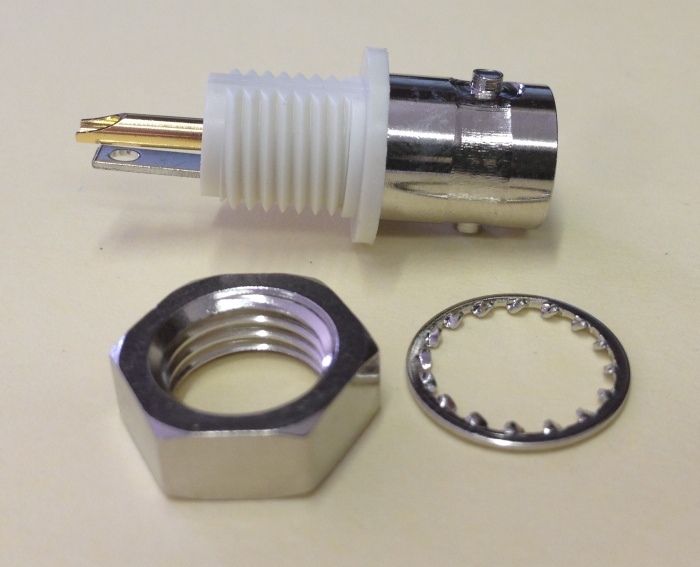 sheets for individual items or feel free to contact us.